Commercial nuclear power plants in the USA are initially licensed to operate for 40 years, a time period reflecting amortisation of capital rather than the design life of a reactor. Regulations allow the NRC to extend licences for additional 20-year periods provided the reactor is deemed safe to continue operating. To date, the regulator has renewed the operating licences of 81 reactors, allowing them to operate for up to 60 years. The NRC is now preparing for applications to extend operating licences beyond 60 years under its Subsequent Licence Renewal (SLR) program, taking reactors to a potential 80-year operating life. It expects to receive the first application - for Dominion Virginia Power's Surry plant - in 2019. The new draft documents, Generic Aging Lessons Learned for Subsequent License Renewal and Standard Review Plan for Subsequent License Renewal Applications for Nuclear Power Plants, describe aging management programs acceptable for the NRC for operations up to 80 years and are based on similar documents covering initial licence renewals. The finalized documents will set out the methods and techniques acceptable to the NRC in renewing SLR applications, and will provide useful information for plant licensees as they prepare their applications. The NRC plans to hold public meetings on the guidance in January and February, and will accept public comments until 29 February. 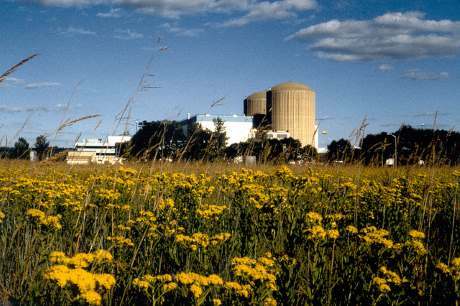 The NRC has approved a 40-year licence renewal for Xcel Energy subsidiary Northern States Power Co-Minnesota's dry cask storage facility for used nuclear fuel at the Prairie Island nuclear power plant, allowing it to operate until October 2053. The facility's original 20-year licence had been due to expire in 2013, but it has been able to continue operating under "timely renewal" rules, under which a licence does not expire as long as NRC staff are actively reviewing such a request. Northern States Power submitted its renewal application in 2011. Antony Hsia, acting director of NRC's Division of Spent Fuel Management, said that the decision to relicense Prairie Island's storage facility was based on findings that the systems in use at the facility meet NRC standards and would be able to store fuel safely over the extended licence period. "Inspections by the licensee and NRC going forward will ensure any effects from aging will be managed so that they do not affect the casks' ability to protect workers, the public and the environment," he said. Used fuel that has already been cooled in a reactor's used fuel pool for several years is removed for storage surrounded by an inert gas in a sealed storage cask. The casks are typically steel cylinders that provide a leak-tight confinement of the used fuel. Each cylinder is surrounded by additional steel, concrete, or other material to provide radiation shielding to workers and members of the public. Facilities designed and constructed for the interim storage of used fuel are known as an IFSI (independent spent fuel storage installation) by the NRC. IFSIs are licensed separately from nuclear power plants, and are considered independent even though they may be located on the site of another NRC-licensed facility. As US nuclear power plants look to longer operating lives, and with no federal repository available for used nuclear fuel, such facilities are vital to free space in at-reactor used fuel pools. The NRC issued its first dry storage installation licence, for a facility at the Surry nuclear power plant, in 1986, and IFSIs are now in operation at 69 sites in the USA. Prairie Island's two pressurized water reactors began operations in 1973 and 1974 respectively. The units are currently licensed to operate until 2033 and 2034 after the NRC granted 20-year extensions to their original 40-year operating licences in 2011.